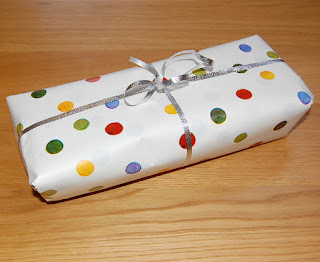 Notes from the Toybox: When did Pass the Parcel get so complicated? When did Pass the Parcel get so complicated? You can now buy ready-made pass the parcel parcels! No, really! We'll be straight with you here. We hate Pass the Parcel. If there was ever one party game to cause instant groans and moans of dismay (amongst adults that is, not kids!) it's Pass the Parcel. We purposely avoided doing it at Princess C's birthday party and quite a few folk seem to have cottoned on that it's a sucky waste of time at a kid's party but still it prevails. The prize at the end is still always massively disappointing. I look forward to the bright shining future when Pass the Parcel has been superseded by "Pass the Smartphone around randomly until the winner is chosen and wins an unlock code for Angry Birds 20"